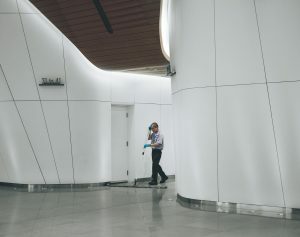 How to Tell if Your Commercial Cleaning Company Does a Good Job? Is Your Commercial Cleaning Company Doing a Good Job? every cleaning company makes promises about their great cleaning services, their excellent customer service, and their specialty in one area or the other. The real test is about how satisfied the customer remains throughout the course of the service contract. Every reputable cleaning company should have the basic requisites: like long-running experience in the industry; experience with modern cleaning equipment; and above all, a highly trained team of cleaning staff. Beyond that, it’s only reasonable to expect that contract obligations be fulfilled, and specific commitments be delivered. Problems and issues should be openly discussed, and any misunderstanding should be easy to clear up. In short, there shouldn’t be any sense of customer dissatisfaction. A good cleaning company shows up on time, fully equipped, and with a complete crew. Clearly, cleaning schedules must be pre-arranged and designed to suit client needs. There shouldn’t be any surprises – unforeseen scheduling changes should be properly advised and mutually agreed. Beyond the specifics of a well-defined Service Agreement, a client should be completely satisfied on an ongoing basis. The standard of cleaning and the quality of service must be consistent from day one and going forward. There is absolutely no reason for a client to be noticeably dissatisfied. Everyone is human, and cleaning crews sometimes make mistakes. This is even true for cleaners who are very experienced. The important thing is how the cleaning company responds to issues and problems. Indeed, this is really the true measure of customer commitment and dedication. As a business grows and changes, so do the cleaning needs. This may entail additional services or changes in scheduling, but whatever the case, flexibility is key for any service provider. For the customer, any changes to the cleaning plan (and perhaps the total budget) should be seamless. Every business owner appreciates a proactive approach in a service relationship. And with a commercial cleaner it’s no different. Going that extra mile is appreciated, whether it’s about cleaning supplies that are running low, or security issues that have transpired after office hours. A well-managed cleaning company will often send a company rep to conduct a random quality audit. This will ensure that the cleaning crew is maintaining a high level of service, and that any issues or problems are resolved on site. It’s also an opportunity to gauge customer satisfaction. Part of customer feedback naturally includes complaints or criticisms about services provided. These should be resolved in a reasonable way in order to improve the situation. However, service providers also like to know when they are doing a good job, and this too is a worthwhile exercise. This entry was posted in Commercial Cleaning and tagged cleaning company, Commercial Cleaning Services. Bookmark the permalink.